Stephen Lavelle has made a nifty little tool called PuzzleScript. 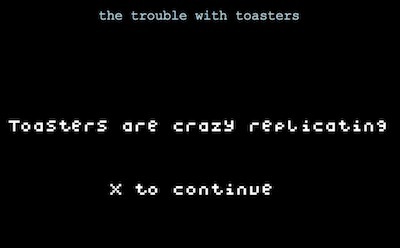 With it you can make quickly make simple puzzle games that play right in your browser, so I cobbled together The Trouble with Toasters. Set your expectation level to Atari 2600 era graphics and gameplay designed in a few hours.